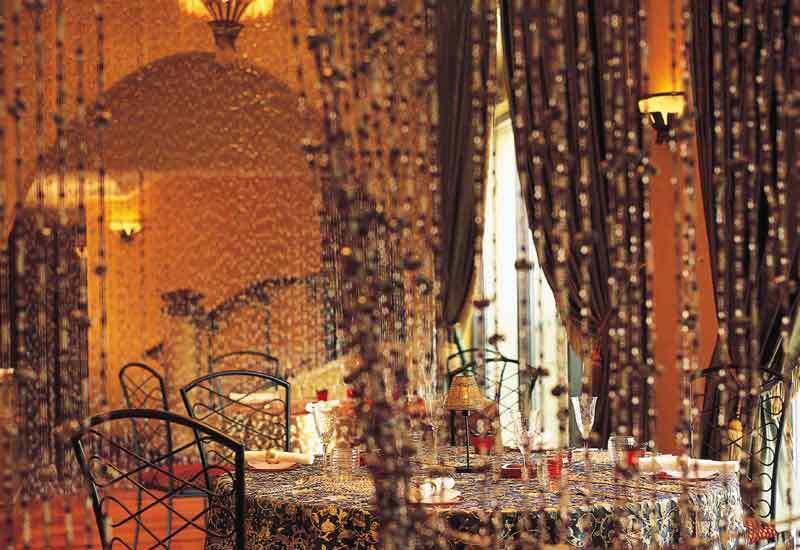 If you are bored with curries of cheap and cheerful Indian bistros, then try out fine Nina Restaurant in One & Only Royal Mirage in the area of Jumeirah, Dubai. This is a fine dine restaurant that offers Indian, vegetable and international dishes in its lofty and ambient beat surroundings, which makes it a perfect romantic and heavenly spot. To match with the settings, standards of service are also kept very high, as the staff serves the guests in very friendly and stylish manner. As far as the food is concerned, its supreme quality and rich taste will boost your palate. The guests will feel as if they are on a culinary voyage, as strength of aroma and great flavours will take them far away from this dessert city. Indian, International and vegetarian cuisines are the true recognition of this fine dining restaurant. Chefs of this bistro prepare these dishes very delicately so each dish could give best taste. Famous south Indian variety dosa, butter chicken, succulent tandoor-roasted chicken and appetizing papaya with coriander pesto are on the wide-ranging menu of this eatery. To beat the fieriest curries of this venue, guests can order a wine of their choice from extensive collection of Nina Restaurant. Apart from this, guests are permitted to smoke at this eating place that also has an outdoor seating arrangement from where people can get pleasure of the splendid views of sunset and sea. The regular operational hours of this eatery are from 7:00 pm to 11:30 pm and this place opens on all seven days of the week. 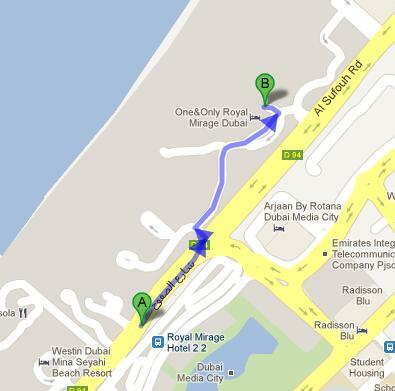 One&Only Royal Mirage Dubai, Al Sufouh Road - Dubai - United Arab Emirates. All Metro Stations are situated beyond 2.5 kilometres distance from Nina Restaurant therefore it is suggested that you should either use a car or take a bus in order to reach this bistro. Head northeast on Al Sufouh Road/D 94 towards Al Sufouh Road/D 94, then turn left at Al Sufouh Road/D 94, before making a right turn. After that bus user should turn left and soon he or she will be standing in front of destination. Follow map for directions.